Silent Hero: A Homeless Success Story is a work of fiction in an urban contemporary setting, penned by author Vernard Dorsey. In this fictionalized work based around real life events, we are returned to the fallout of the recent financial crisis and economic downturn of the early 2010s, with this particular tale set in Philadelphia, USA. Harry Hess is a man who faced total poverty and homelessness, yet turned that into a mission to represent those who had very little to live on during that time. This novel recounts his story of going from humble heroism to freedom fighter against the American upper classes. This was an inspiring and emotive read which clearly comes from a strong political and emotional place in the author’s heart. Author Vernard Dorsey embodies every character in the ensemble with realism, from their cleverly chosen dialogue to their vivid depictions and the actions which they take, for good or ill, through the course of the plot. The recent past mirrors the here and now eerily as we uncover the greed of the one percent, and the solidarity of those hardworking folks who had very little before the crisis, and even less during it. Harry Hess is a strong central figure who ties together many narratives and voices during the journey, and he is well chosen as the centerpiece of the plot. 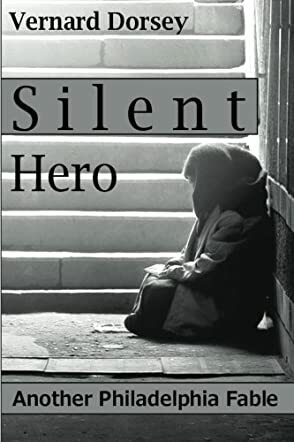 Overall, Silent Hero: A Homeless Success Story is exactly what it promises: an emotional, harrowing but ultimately uplifting tale of human kindness and triumph over adversity.